39,4 x 88,4 cm - 15 1/2 x 34 3/4 in. Jacques Drake del Castillo, Paris, jusqu’en 1903 – Boussod-Valadon, Paris, janvier 1903 – Eugène W. Glaenzer & Co., New York – Boussod, Valadon, Paris, juin 1906 (Stock n° 28847) – Georges Haentschel, Paris, 1906 – Galerie Barbazanges, Paris – Knoedler & Co., Paris, 1924 – Robert Sterling Clark, New York, 1924-1955 – Sterling and Francine Clark Art Institute, 1955. Gand, Exposition universelle, 1913, n° 121 – Londres, Grosvenor House, 1914, n° 24 – Williamstown, Clark Art Institute, 1956, n° 101 (repr.) – Williamstown, Clark Art Institute, 1959, n° 3, pl. XVIII – Williamstown, Clark Art Institute, 1959, n° 3, pl. XVIII – Williamstown, Clark Art Institute, 1970, n° 7 - Northampton, Smith College Museum, 1979, n° 3 (repr.) – Washington, National Gallery, 1984-1985, n° 32 (repr.) – Paris, Ottawa, New York, 1988-1989, n° 221, repr. p. 340-341 – Williamstown, Barcelone, 2010-2011, n° 158, repr. p. 141. Lemoisne, 1946-1949, III, n° 820, repr. p. 471 – Browse, , n° 116, p. 377 – Lemoisne, 1954, repr. face p. 100 - Sterling and Francine Clark Art Institute, (s.d., n.p), n° 36 (repr.) – Lassaigne, Minervino, 1974, n° 819, repr. 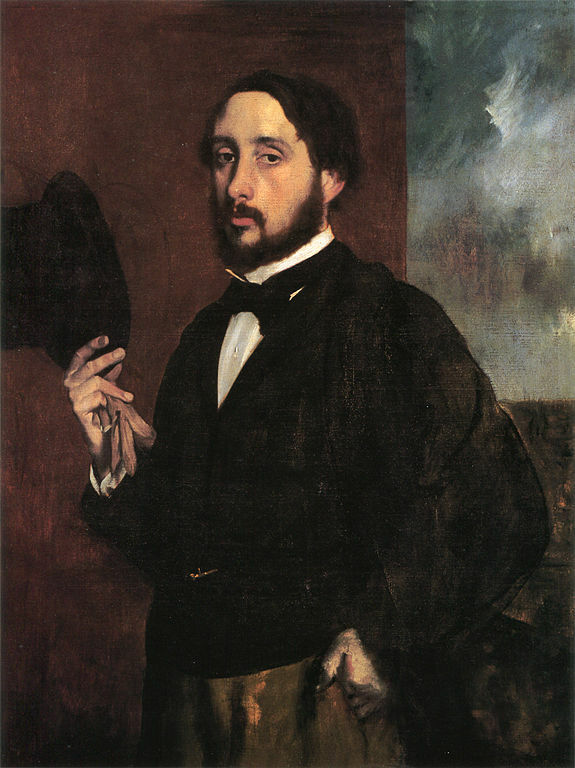 p. 123 – Varnedoe, "Degas and the Photography", Art in America, LXVIII, été 1980, p. 105, fig. 12 – Sterling and Francine Clark Art Institute. List of Paintings, 1984, p. 12, fig. 257 – Boggs, 1985, p. 13, fig. 6 – Williamstown, Clark Art Institute, 1987, n°44, repr. p. 61 et couv. - Detroit, Philadelphie, 2002-2003, fig. 168, repr. p. 152 - Rome, Complesso del Vittoriano, 2004-2005, fig. 21, repr. p. 32 - Lee, Nineteenth-Century European Paintings at the Sterling and Francine Clark Art Institute, 2012.